Let’s cast aside the sophomoric: “What is an idea dude?” and actually put the question in context. As I am writing my master’s thesis and running experiments, and as I was when originally figuring out what I wanted to research precisely, I have been wondering what it is that my work should be about. What are the main ideas someone reading my thesis should be getting away with? How does one determine those and how is one convinced of their validity and quality? Oh, oh I opened up a rabbit hole! 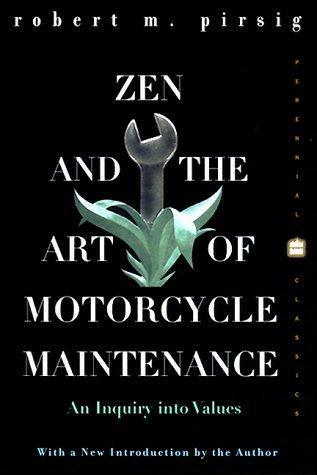 As I was grappling with those ideas in the past months, I also unrelatedly started reading Zen and the Art of Motorcycle Maintenance by Robert Pirsig. Now, I haven’t done any philosophy in university and only one year of philosophy in high school so my understanding of the wider picture is very naive, but as far as the book went it enlightened me quite a lot and put me on the path to answer my main questions. Although I cannot answer the questions above satisfactorily, here are two things I took away from the book that are worthwhile for any graduate student. The first point, is to put things into perspective. When one is in a field using the scientific method, it is easy to think that it will solve everything. Yet it obviously cannot solve the starting problem of what to research for instance! It is a method to get at explanations (let’s not get into Truth!) and Pirsig’s main disillusion with it comes from the inexhaustibility of hypothesis generation. If one can come up with an infinite number of hypotheses how can one ever hope to confirm or discard them all and get at the right explanation? Pirsig presents his way of dealing with that problem in the book (read the book! ), but most importantly, by doing so, he highlights that one should attempt to answer this paradox and the questions mentioned above so that technological pursuits are meaningful. This dovetails nicely into the second point. Building one’s framework for making sense of the experiments and results of one’s research is crucial at the graduate level. Unfortunately it is often only implicitly and not explicitly taught. It is probably a lifelong process as well. Keep it in mind. Whatever the framework you build for yourself, it will help make your ideas and the world around you clearer. All in all one has to be a philosopher sometimes: a PhD is a Doctorate of Philosophy after all. Next Post Tropical Tribulations, Final Episode: Small Fieldwork, Grand Finale.